Marek "Slush" Palatinus, the lead architect and CEO of Trezor and its parent company Satoshi Labs, revealed that he started Slush Pool, the oldest mining pool within the bitcoin mining industry, with a $45/month virtual machine. Today, Slush Pool along with Satoshi Labs and Trezor have transformed into multi-million dollar businesses, generating stable streams of revenue and high profit margins. "I started Slush Pool on $45/Mo virtual machine few years ago and built a multi-million startup on top of it. Not possible today," said Slush. Over the past few years, billions of dollars were invested in bitcoin and block chain startups by venture capital firms, angel investors, technology conglomerates and financial institutions. Some companies such as Coin base, Gemini, Bitfinex and Block chain have become massively successful businesses, with Coin base becoming the first unicorn startup within the bitcoin industry with its latest $100 million funding round that increased the company’s valuation to $1.6 billion. However, many innovative and unique companies, applications and platforms such as Change Tip and Lawnmower failed to secure active user bases, stable revenue streams and record profits for their investors. Startups like Change Tip were ultimately acqui-hired by multi-billion dollar technology companies including AirBnb and Lawnmower, which once allowed users to save cash change in bitcoin, rebranded to more applicable platforms. Lawnmower for instance, is now a block chain assets portfolio management tool, targeting professional traders and portfolio managers looking to expose themselves to a new asset class and invest in bitcoin and Ethereum. Hence, despite the exponential growth rate of bitcoin and the entire cryptocurrency market and alluring opportunities, it was difficult for companies like Trezor, Slush Pool and Satoshi Labs to make it through the bitcoin industry’s early stages. But, companies that were successful in securing their brand and presence in the industry have now become successful companies. Trezor for instance, has experienced an abrupt surge in demand throughout the past two years that in some months, the company was not able to address the growing demand from its clients. "With much regret, Satoshi Labs would like to inform you that due to the exceedingly high and unanticipated demand associated with the increase in bitcoin value, our stock at TREZOR Shop has been depleted. We would like to sincerely apologize for this inadequate foresight related to the development of bitcoin value. Production plans have been fixed and this situation should not occur in the future again." An important takeaway from Satoshi Labs and Slush’s journey since 2013 future entrepreneurs and potential investors must acknowledge that it has become virtually impossible to create or establish companies within the bitcoin and cryptocurrency industries with limited resources. Companies like Coin base and Block chain are aggressively expanding globally with hundreds of millions of dollars in capital and startups like Trezor and Ledger have already established strong presence in the bitcoin hardware wallet market. For the majority of investors and entrepreneurs, the abovementioned issue can be considered as an advantage as it means that the bitcoin and cryptocurrency markets have significantly matured within a span of years. 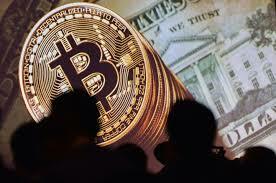 Most people have heard of Bitcoin but don't really understand what it is. The most important thing to understand is that there are people making millions of dollars every month mining Bitcoin . There is now a new company called Bit Club Network that let's anyone get involved in Bitcoin mining. You don't have to be a programmer, you don't have to buy millions in equipment and you don't have to set up anything. You buy a share of one of the mining pools and you get paid every day. It's that simple. Everybody wants a business that pays them everyday residually. Not only do we have it here, but we also get paid to share it with everyone we know. Check out the videos etc. and get in touch with me as soon as possible. Millions of people will be joining from around the world, you're hearing about it first. Don't miss out, click HERE to get more information.